Yvette Coppersmith's Self-portrait, after George Lambert. Excitement is building at Geelong Gallery as it enters the countdown to hosting the 2018 Archibald Prize. The gallery has exclusive Victorian hosting rights, with the exhibition scheduled to open on 22 September. High-profile, eagerly anticipated and often controversial, the Art Gallery of New South Wales’ Archibald Prize is Australia’s favourite art award, and one of its most prestigious. Awarded to the best portrait painting, the Archibald exhibition is regarded as a who’s who of Australian culture, with subjects often including politicians, celebrities, sporting heroes, authors and artists. “We are excited to present the Archibald Prize in Geelong for the second time in two years,” says Geelong Gallery director and chief executive officer Jason Smith. “There’s much anticipation in the region for the return of the prize and we look forward to presenting our community with extended opportunities to engage with artists, sitters and more generally with the genre of portraiture. This year’s exhibition features 57 portraits including 2018 Archibald Prize winner Yvette Coppersmith’s self-portrait. Christened John Feltham, JF Archibald was born in Geelong West on 14 January 1856 and lived in the region beginning his journalism career in Warrnambool, aged 15. 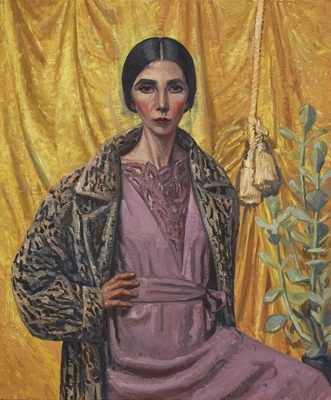 A number of finalists in the 2018 Archibald Prize have connections to the region, particularly actor and 2018 Archibald Prize Guy Pearce, the Geelong-born-and-schooled portrait subject of Anne Middleton. Geelong Gallery will host the Archibald exhibition until 8 November.